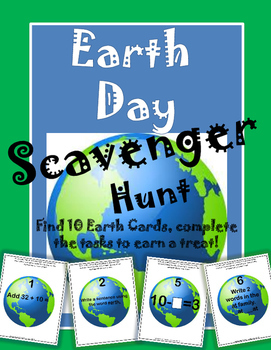 Earth Day Scavenger hunt will bring language arts and math into your fun Earth Day Celebration! 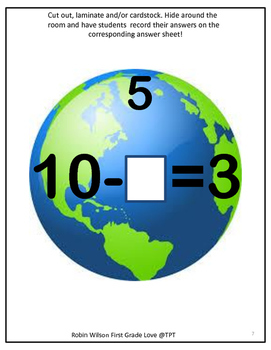 This can be used in small groups, or in math/literacy stations. 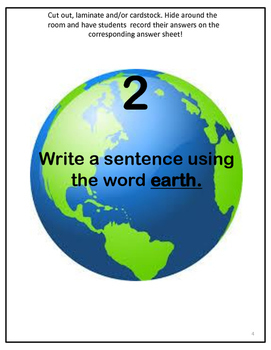 There is a blank earth that can be written on to add any content you are working on in your individual classroom. Scavenger Hunts are my new favorite way to teach concepts!! We are doing one every week! My students LOVE these and are so engaged! I have done this with my whole class at once, and in small groups! It works great either way!!! 1. Hide 10 earth cards around the room. 2. Students find earth cards and answer questions on corresponding record sheet. 5. There is a blank earth as mentioned above to add any content into your curriculum. Check out my other scavenger hunts!